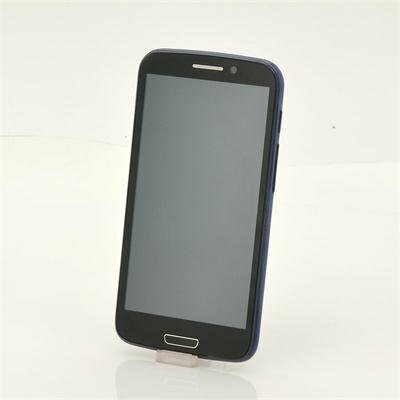 Successfully Added Android 4.1 Phone "Kobalt" - 5.3 Inch Screen, 1.2GHz Quad Core CPU, 1GB RAM, 240PPI, 8MP Camera to your Shopping Cart. 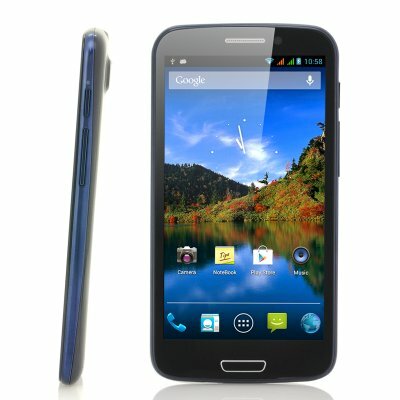 5.3 Inch Screen Android 4.1 phone featuring a 1.2GHz Quad Core CPU, 1GB RAM, 4GB of internal memory, a 240PPI screen, GPS, Bluetooth and more! Offering the latest Quad Core technology, this phone is a real must have! The “Kobalt” Quad Core Android Phone is powered by the new MTK6589 Quad Core processor clocking at 1.2GHz and supported by 1GB RAM. Experience its magnificent 5.3 Inch screen which uses IPS technology to bring out vibrant and deep colors. Watch HD movies, game and view pictures without missing a single detail. And to make your life easier, the Dual SIM function lets you use 2 SIM cards in one phone. This way you can be reached on two different phone numbers while only keeping one phone in your pocket! Using Android’s latest OS, Android 4.1 you’ll not only have a fast OS, but you’ll also be able to customize your phone the way you want it. Change the tiles on your home screens, add widgets and much more with just a few clicks. Extra widgets, apps, games, movies and music can all be downloaded from Android’s great App Market, the Google Play store, which offers over 700.000 free and paid apps. And just in case the 4GB of internal memory would not be enough for you, slip in a Micro SD card and expand your memory up to 32GB. To top it all off, Bluetooth, GPS and 3G Tethering come standard on this fantastic phone! Experience the power of Quad Core and order the “Kobalt” today! In stock, we guarantee next day shipping and offer a 12 months warranty on all our products. Brought to you by the leader in electronic devices and wholesale Android Phones, Chinavasion. They don't have spare batteries for sale which is why they are discounted. I wouldn't recommend buying one especially if you have only one battery that works. Second day using the phone and I have no complains. battery looks durable, the case is nice, connection is so far ok (although I have a problem with my provider). No one can believe I paid only 140 euros on this phone .. this is amazing! Screen resolution is perfect, sound is ok for a phone. This is my second review, thanks that you did not put the first review up since everything was solved after the quidance of support. This phone is excellent, the call quality is very good on both sides, the main camera is very nice and the video also very nice, for skype it handles everything smoothly but the front camera is not very clear but you can communicate decent with it on skype. The battery lasts sufficient enough but there is no availiable battery anymore to be bought so you'll have to stay with the two batteries provided when you buy the phone. The gps do work and it has very accurate signal, it takes a little time to find the satellites but when it locks, it stays locked to satellites. This phones screen is excellent and everything is done smoothly on the net or on games and the quality of the screen is exceptionally great, same great also when you view online videos or you watch online tv, I recommend it to everyone to buy this phone, he won't regret it. This item took only 9 days to arrive and that was a week ago . In my opinion, the all-round quality AND spec of this device is higher than many well-known rivals such as Samsung Galaxy 3 which I owned up until very recently. All Chinavision phones are dual SIM while most well-known brands are not. Mine is set to receive mail from 3 addresses. The browser is quite fast. It would be handy if replacement batteries were available on site instead of having to request them from Customer Services which takes 2 working days to deal with. Longer, if the weekend is included. The camera clarity is quite impressive. All in all, a first-class bargain to be had.